With Advent, GPC begins a new church calendar year. 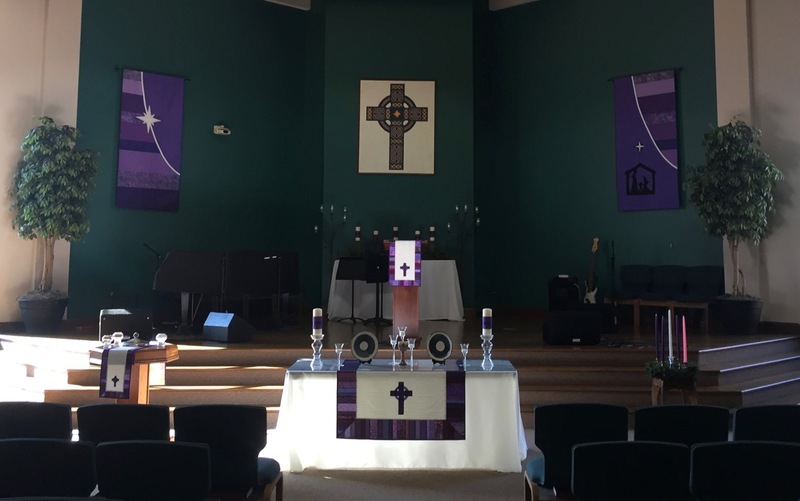 GPC is entering into the Advent season of preparation in a number of ways. Firstly, new banners have been created and installed in the sanctuary. GPC is so blessed to have gifted and generous needle workers. Thank you Gail and Linda for your beautiful work. (Fun fact: Gail and Linda also teamed up last year to make the beautiful paraments which are displayed as well). In addition, several artists have been working together to create a multi-media exhibit centered our Sunday morning theme: Where Are You? The installation of the exhibit will progress each Sunday as we imaginatively walk to Bethlehem. 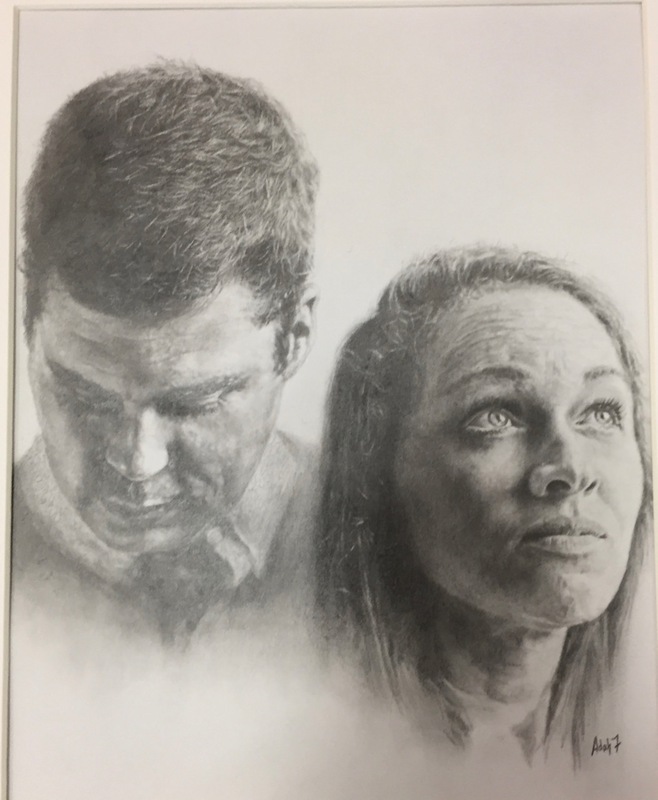 Adah Freeman, is a gifted portrait artist, who has drawn an image of the complexity of the news of Genesis 3:15 in which we see both the shame of sin and the hope of redemption in this portrait, Adam and Eve. 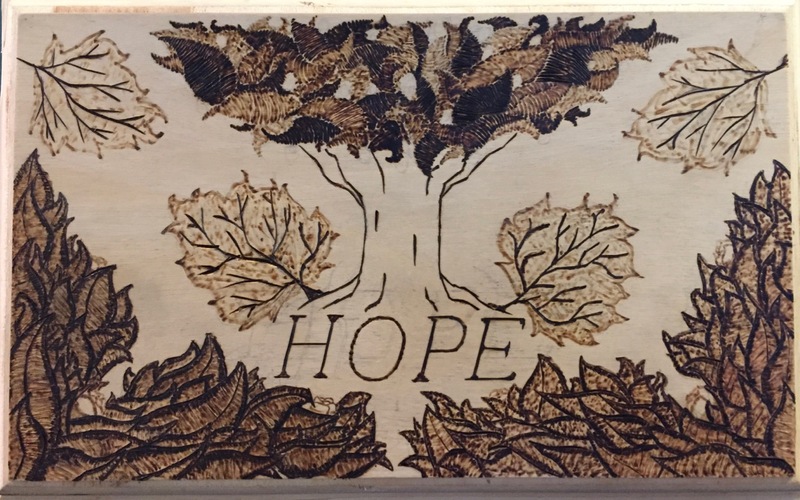 Asher McClain is doing a wonderful job capturing each week’s theme with pyrography. Below is his first creation based on this week’s theme, Hope. See how he pictures the tree from which springs the hope of restoration. Pastor Edwards is writing some poetry on each week’s theme. You may read his first poem on his blog, Backward Mutters. Lastly, GPC Worship Leader, Michael Kuehn, has been writing beautiful lyrics and music for the Advent exhibit. 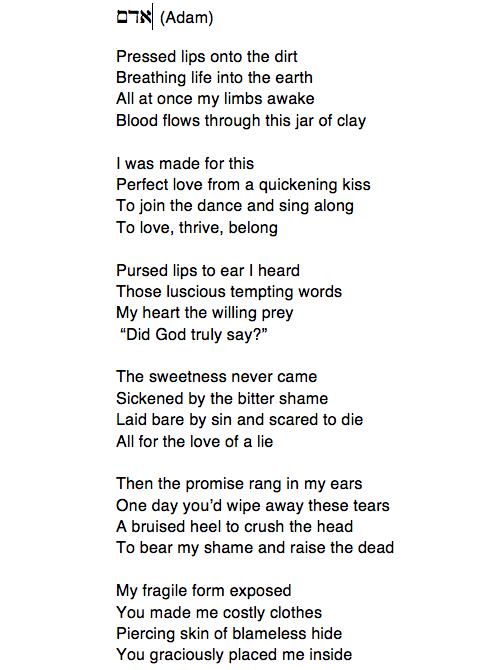 His first piece, “Adam,” takes us into the beauty of creation, the tragedy of ruin, and the hope of redemption. Here are his lyrics. You may listen to a recording of the song via the player below. We hope you will join us as we prepare to celebrate God with Us as we walk to Bethlehem.